For the crust, stir together ingredients with a fork until well combined. Pack crust ingredients into a 9-inch springform pan. 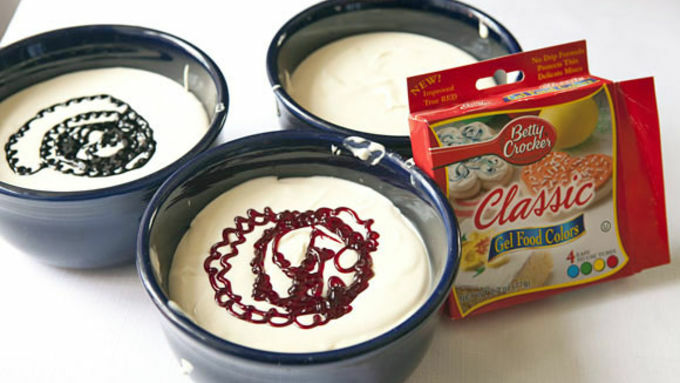 Use a small measuring cup to make sure the edges are packed down well. 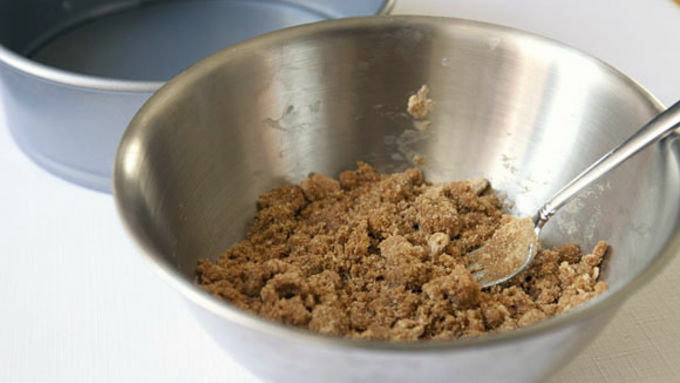 Add sugar and continue to beat on medium speed until completely combined, about three minutes. Add in eggs, one at a time, and continue to mix. Pour blue layer into crust and spread evenly. Top with white layer. 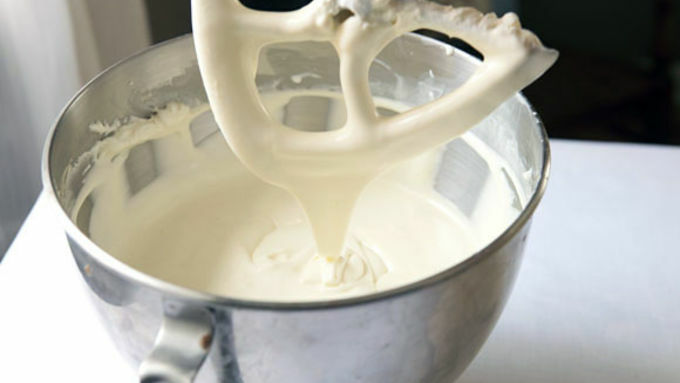 Carefully spoon the layer onto the blue layer so it doesn't sink into it. Use a spatula or knife to carefully spread out the the layer. Repeat with the red layer. Turn off oven, crack the door slightly, and let cake cool slowly for an hour. 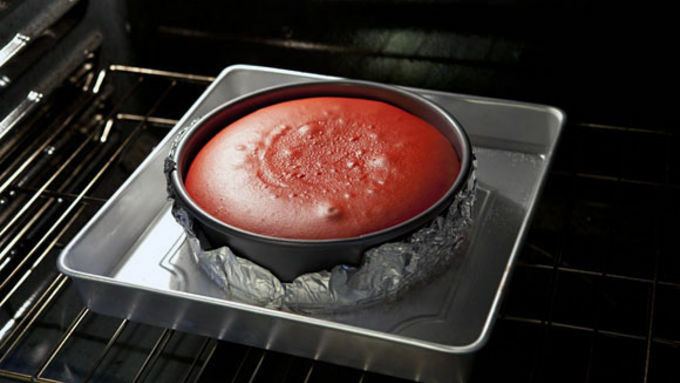 Remove cake from pan, slice and serve. It helps to slice the cake with a warm knife so the red white and blue layers stay clean. You have to hand it to the Founding Fathers. 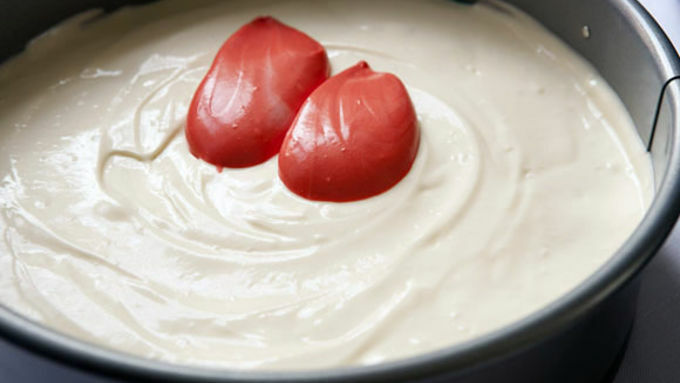 While they probably didn’t do it on purpose, they happened to pick some flag colors that look beautiful when layered in a rich, smooth cheesecake! I really love making cheesecakes because they’re a show-stopping dessert, and once you get the hang of it you can color them any which way. 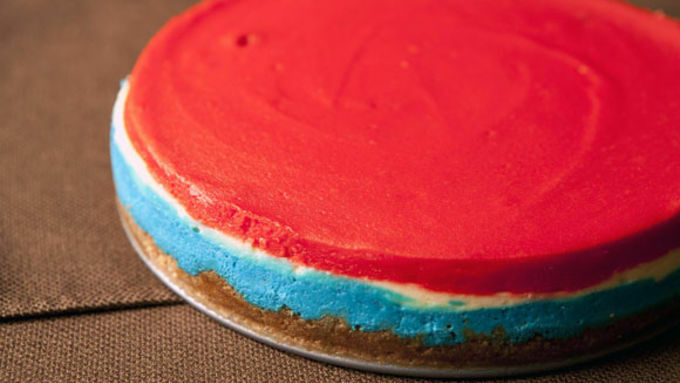 For July 4th, I thought a Red White and Blue Cheesecake just made sense. 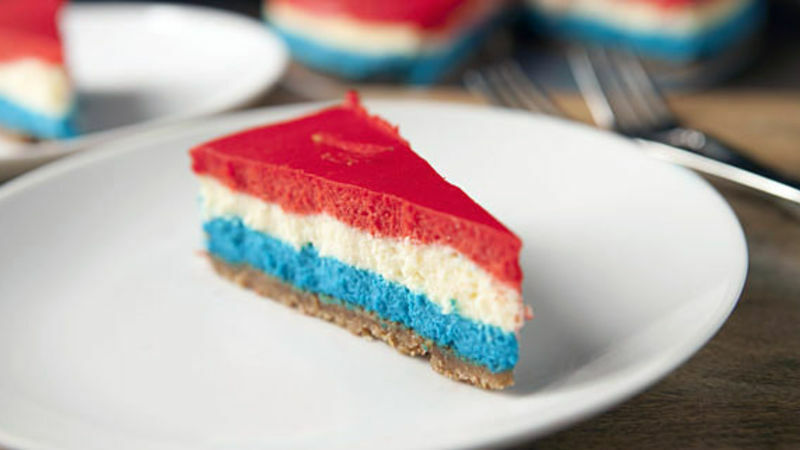 Cheesecakes are good, but colorful patriotic cheesecakes are even better!